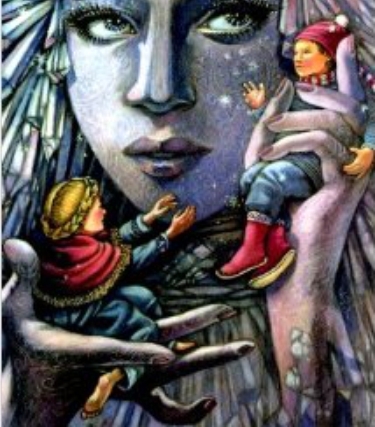 The cold-hearted Snow Queen kidnaps children in search of her lost son. When she abducts Kai, his younger sister Gerda vows to bring him home. Traveling north, Gerda encounters Conjure Woman and Aurora Borealis who guide her, and those who accompany her: Cawtrina Crow, Prince Erik and Randolph, a reindeer. The Snow Queen sends her henchmen, Frostbite, Blue Norther and the Snow Drifts, to stop the young girl. When Gerda reaches the Snow Queen’s palace and finds Kai cold-hearted, can her love and devotion warm his heart, and together can they find a way to transform the cold Snow Queen into the loving mother she once was?